Situated in Sewanee, this golf hotel is within a 10-minute walk of Sewanee Golf and Tennis Club and University of the South. Lake Cheston is 1.2 mi (1.9 km) away. 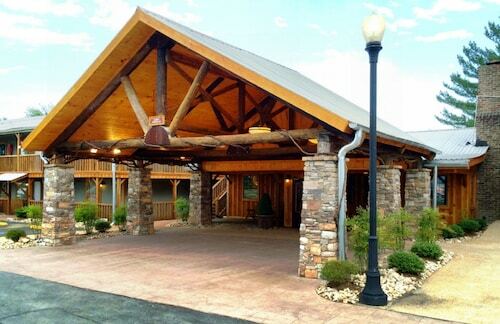 Situated on a lake, this hotel is 1 mi (1.7 km) from Monteagle Sunday School Assembly and within 6 mi (10 km) of Sewanee Golf and Tennis Club and University of the South. Lake Cheston and Foster Falls are also within 16 mi (25 km). 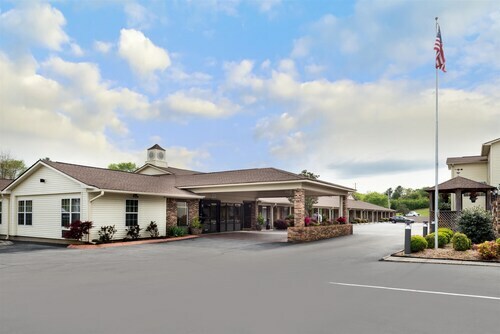 Situated in Manchester, this hotel is 1.7 mi (2.7 km) from Great Stage Park and within 12 mi (20 km) of Old Stone Fort State Archaeological Park and Rutledge Falls. Short Springs Natural Area is 12.1 mi (19.5 km) away. Situated in Kimball, this hotel is within 9 mi (15 km) of Grandview Medical Center, Jasper City Park, and Bridgeport Depot Museum. Marion County Park is 9.2 mi (14.9 km) away. How Much is a Hotel Room in Sewanee? Hotels in Sewanee start at $49 per night. Prices and availability subject to change. Additional terms may apply. Within a 6-mile (10-kilometer) distance of the heart of Sewanee, through Travelocity's reservations page you can make a selection from a small, but friendly variety of rooms. Travelocity's comprehensive database presently shows up 5 hotels within a 6-mile (10-kilometer) distance of the CBD district and surrounds of Sewanee. 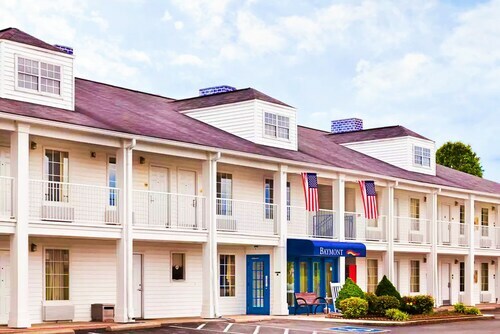 A good option if you and your traveling partner are looking to base yourself within walking distance of the middle of Sewanee, is the The Sewanee Inn. 6 miles (9 kilometers) outside of the middle of Sewanee, you will come across the Edgeworth Inn. 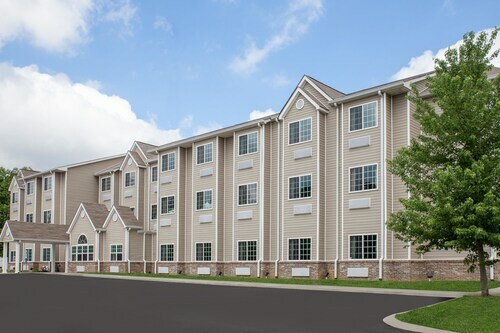 The Holiday Inn Express & Suites Manchester is positioned 19 miles (31 kilometers) away. The Holiday Inn Express And Suites Kimball and the Hampton Inn Kimball are some alternative accommodation options worth looking into in Sewanee. If you have some spare time, adventurous explorers could travel to other parts of Central Tennessee. Travel through Central Tennessee's historic mansions and history museums. Nature lovers should also take the time to check out the region's rivers. Common pastimes in this particular part of United States of America include hiking and cycling. Shelbyville can be found 20 miles (34 kilometers) to the northwest of Sewanee. While here, you can explore the Great Stage Park. 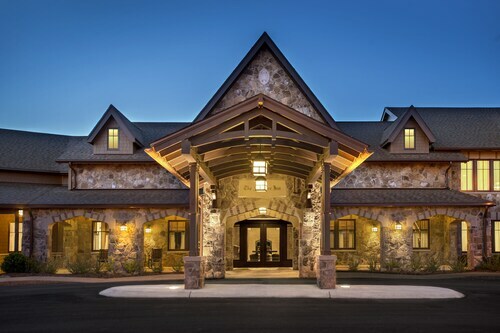 Manchester is home to many great Travelocity-registered hotels to spend the night. For another option, you may wish to stay in Shelbyville, situated 35 miles (58 kilometers) to the northwest of Sewanee. While there, take some time to enjoy the Shelbyville Courthouse Square. 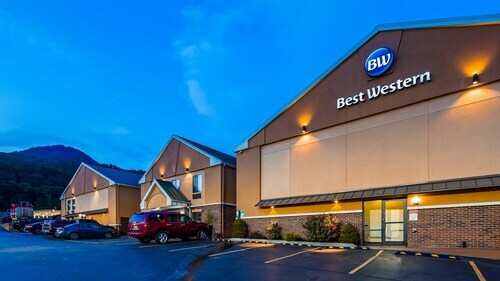 The Best Western Celebration Inn & Suites and Microtel Inn & Suites by Wyndham Shelbyville are options for places to stay. Before your Sewanee trip comes to an end, why not spend an hour or two enjoying the skills of players in the company of avid sports fans at a community game. Von Braun Center is 50 miles (81 kilometers) to the southwest of Sewanee. Find a Travelocity-listed hotel nearby to the action at the Embassy Suites Huntsville Hotel & Spa' or the SpringHill Suites Huntsville Downtown. 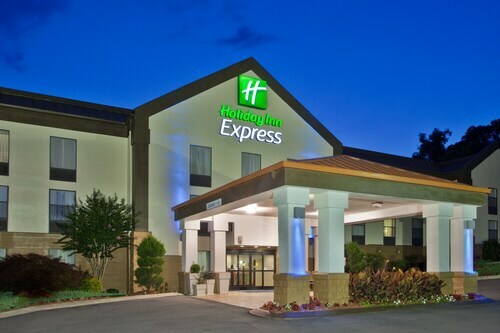 If you are traveling into or out of Chattanooga Metropolitan Airport and choose to find a hotel in the area, have a look at Residence Inn Marriott Hamilton or Homewood Suites by Hilton Chattanooga - Hamilton Place. Stopped for one night - very clean, very good value. Pleasant staff. Very nice and clean and the staff was very friendly. Reasonably priced, convenient to the University of the South campus (about 3 miles away). Nice restaurant next door. Comfortable and clean room. Good value and a pleasant place. Arrived late to a friendly greeting. I was the only resident that night. Mattress was old and sagging, mildew on the shower curtain. I expected a frig but there was not one.